Party Time Tuesdays: Birthday Inspiration from Jan! Today's Birthday Inspiration Card is brought to us by Jan! This is soooo pretty! 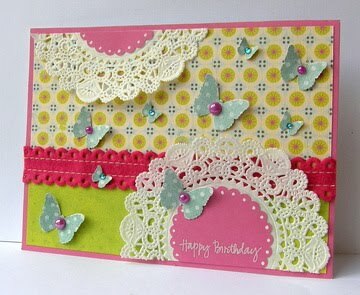 I just love all the butterflies, doilies, trim - awesome card! If you would like to see more of Jan's work - check out her blog HERE!